The History of G8EOP aerial system. To the left is the old Ant system Installed 1972. 10 el. 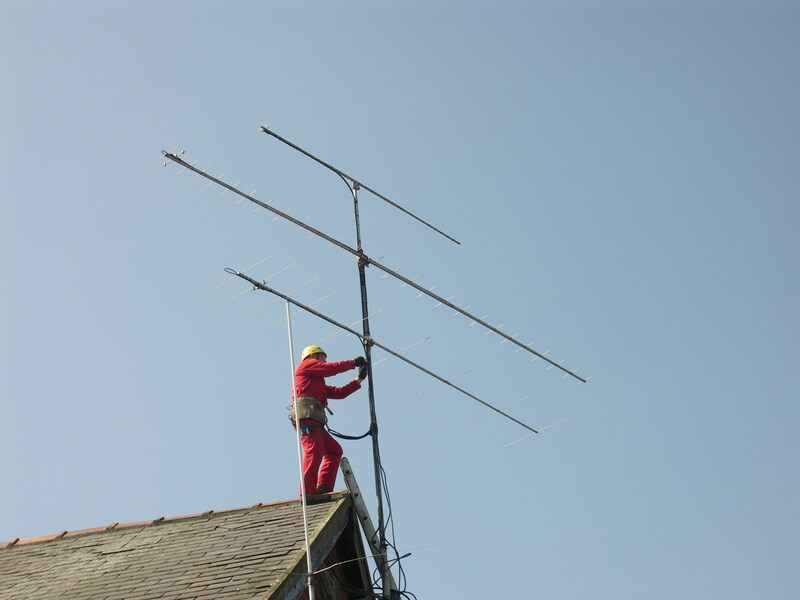 2m "J" Beam for Horizontal with 6 el 2m "J" Beam Grafted on the same boom. 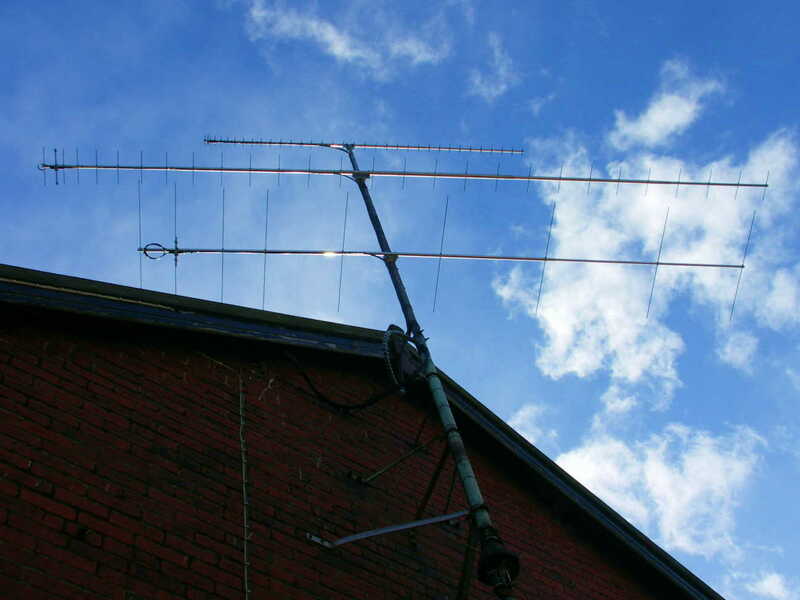 The top ant "J" Beam (what's left) was a 70cm MBM88 el. Rotator is a CDR cir 1967 To the back is Diamond 6 - 2 - 70 Vertical installed 2006. To the right is Mr. G1XCC Michael in Paramount Security Group's Cherry Picker removing the old system for re-ferb. 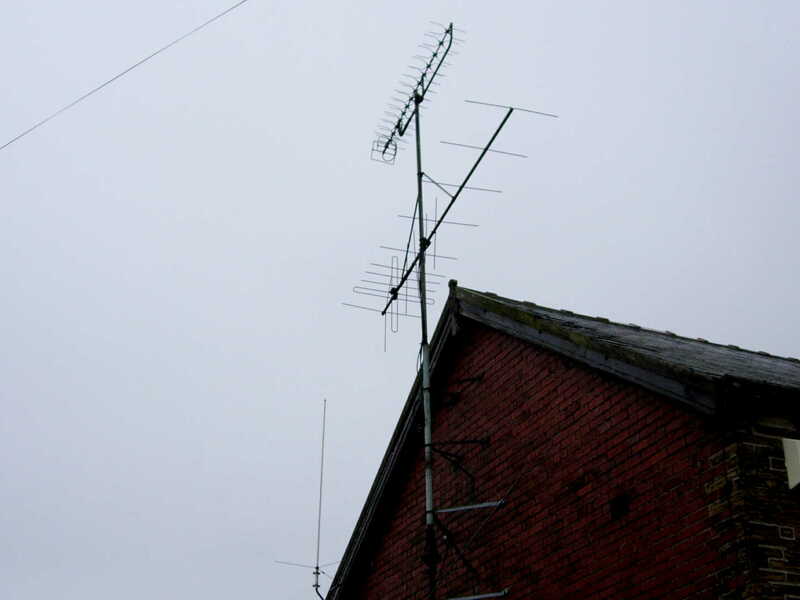 The damage to the "J" Beam 10 and 6 el aerials was the centre of the folded dipole. It was open circuit to the boom due to steel to alloy corrosion, every thing else was Ok. The mast was striped on the ground ready for new aerials. To the left is the new system. 2m 9el. M² beam, 70cm 28 el M² beam, 23cm 35 el. M² beam. Coax to 2m and 70cm aerial is Ecoflex 10. Coax to 23cm aerial is Ecoflex 15. New gear ring and 12 new bearings fitted to Rotator And a Paint job Now good as new. 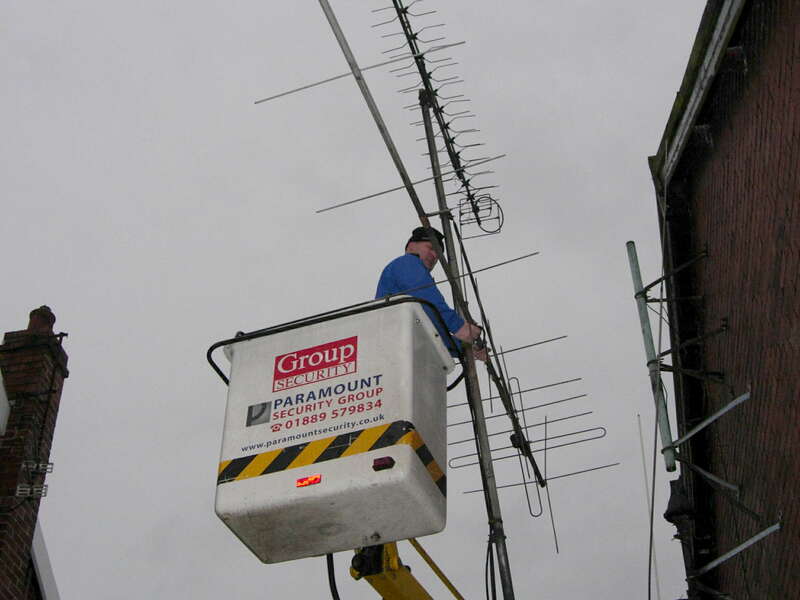 To the right is Robert G8BUN (M0JRB, M0ORO) Moving the 2m aerial up the mast to make room for the new 70mhz 5el. Power beam aerial. Also to fit a new Yaesu 450 rotator. 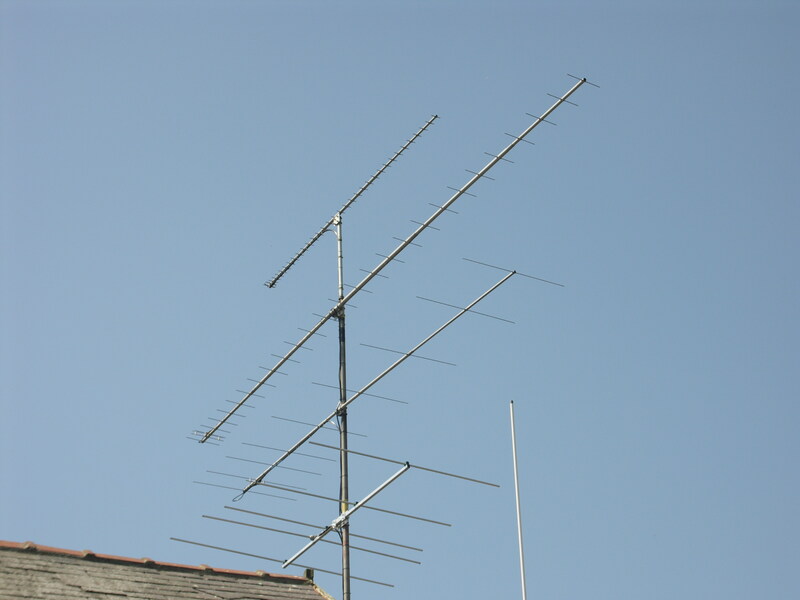 To the left is the new system now installed to cover 4m,2m,70cm and 23cm. Last update 18th. October 2015.